Goa Chief Minister Manohar Parrikar was cremated with state honours in Panaji on Monday afternoon, after which the Bharatiya Janata Party (BJP) said its leader Pramod Sawant would be the next CM of the state. 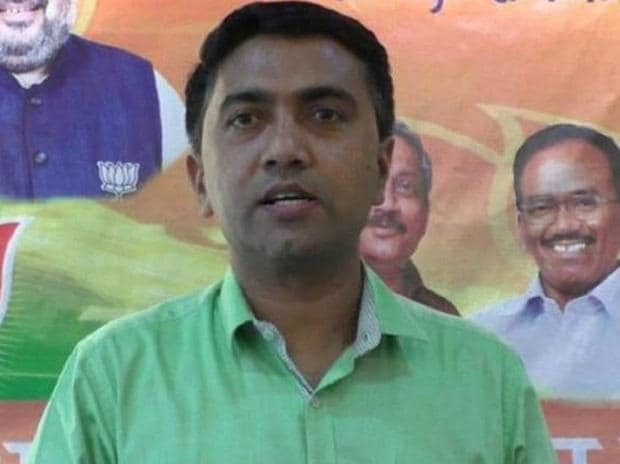 To accommodate its allies, BJP sources said, Goa Forward Party's Vijai Sardesai and Maharashtrawadi Gomantak Party (MGP) Sudin Dhavalikar would be deputy chief ministers. The Congress, which is the single largest party in the state legislature, said the BJP was trying to create an “artificial majority” in the state. Parrikar, 63, passed away on Sunday after a prolonged illness. Thousands queued up to bid farewell to Parrikar. Prime Minister Narendra Modi, BJP chief Amit Shah, some Union ministers and chief ministers of BJP-ruled states offered their respects to the departed leader. Parrikar's eldest son Utpal lit the funeral pyre. Earlier in the day, the Union cabinet condoled his demise. After observing a two-minute silence, the cabinet passed a resolution. It said that in Parrrikar’s death the country has lost an able administrator who was affectionately called the “chief minister of commoners." Union minister and senior BJP leader Nitin Gadkari spent the day talking to party legislators and allies. He managed to break the deadlock by evening with allies agreeing to the formula that Sawant, currently the speaker of Goa Assembly, be the chief minister, while Goa Forward Party chief Vijai Sardesai and MGP MLA Sudin Dhavalikar be his deputies. The Goa Forward Party and MGP have three legislators each. Congress leader Ghulam Nabi Azad said the BJP was creating an “artificial majority” in Goa at the directions of the Centre, and urged Governor Mridula Sinha to invite the opposition party to form a government as it was the single largest party. "Now, the BJP's MLA count has gone down (further). The BJP's MLA count is 11 and the Congress' is 14. We have three MLAs more as compared to them," he said. Azad said among the other parties, the Goa Forward Party has three, the MGP has three, the NCP one and remaining three are independents and there is one Speaker. All the 14 Congress MLAs, led by Leader of the Opposition Chandrakant Kavlekar, went to Raj Bhawan and handed over a letter to Sinha, saying it was the single largest party in the Assembly and should be allowed to form the government.